All the wedding festivities are over here in Mauritius now and much of the overseas family now gone. Now that we’ve down scaled to 10-ish people, I’m back in the kitchen cooking for the family – which I absolutely love to do. Last night I was cooking a big topside steak – simply frying it both sides in butter and olive oil, and I wanted to serve it with a really fresh, citrusy sauce. 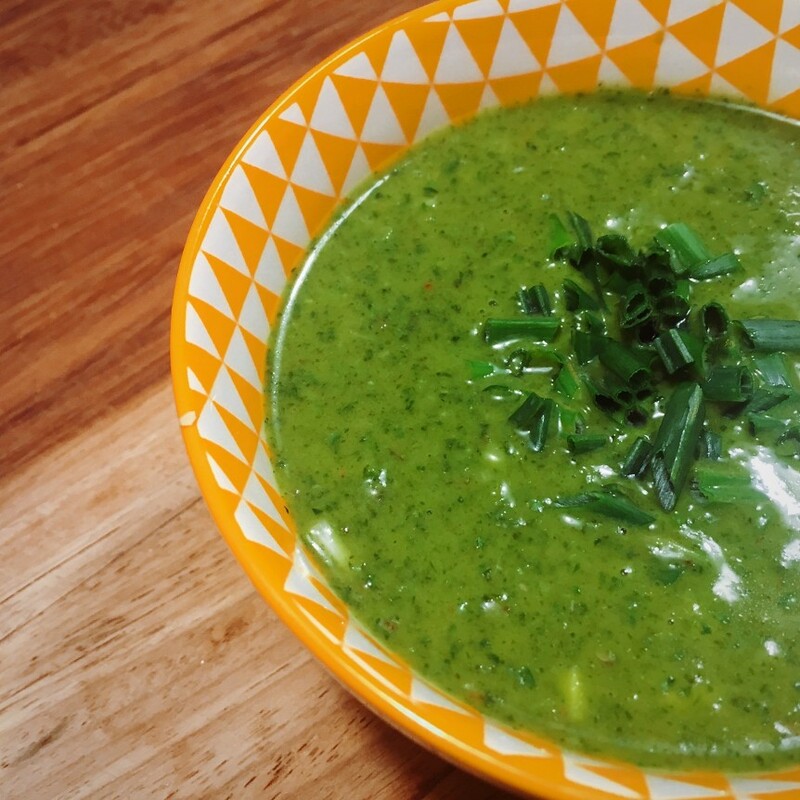 The Zingy green sauce was born from what we had at hand, and it’s good. Really good. Top any meat, fish, tempeh, quinoa… Whatever protein you’ve got going on really, it will give a gorgeous flavour kick to. So often when you feel uninspired by cooking or preparing a meal, it’s because you probably already know that the food itself you’re preparing isn’t going to taste very exciting. Marketing companies know this, so having a few zesty and ultra tasty condiments up our sleeves to make simple, exciting tasting local-produce oriented meals at home, means we avoid the temptation of ready meals and takeaways. Trust me. It works. Enjoy the sauce or dressing for a salad, however you end up using it. Pop in a bowl, little jug or drizzle over the platter you’re serving of meats, fish or salad. So good. How gorgeous and bright green and glossy! Real Food. Happy Bodies. Tasty and simple. Add all ingredients to whatever blitzer you fancy – Thermomix, Vitamix, MyCook, Blender, Nutribullet, food processor… They’ll all work! Process on high for a green sauce or pulse 4-5 times for a second or two at a time for a rough chopped texture. You could of course also go old school and fine chop everything and mix in a bowl. Looks delicious Alexx! Can’t wait to try. I see you mention Nutribullet – are these ok do you think? What about the plastic?